TALLAHASSEE — While Tuesday's U.S. presidential race was very tight in the swing state of Florida, another contest decided in the Sunshine State on election day was a clear slam dunk: the world’s strongest magnet for biological research. 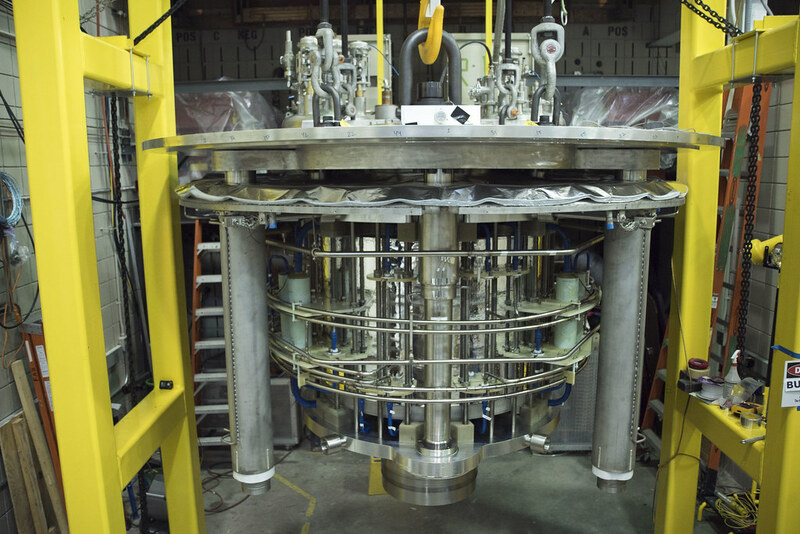 After a decade of planning, designing and building, the National MagLab has successfully tested the latest addition to its world-record lineup: a 33-ton engineering marvel called the series connected hybrid (SCH) magnet. On Nov. 8, the instrument reached its full field, 36 tesla (tesla is a unit of magnetic field strength; a strong refrigerator magnet is .01 tesla, and a typical MRI machine is 1.5 to 3 tesla). The milestone busts open a door to discovery, making the highest magnetic fields available not just to physicists but, for the first time, to biologists and chemists as well. It was the culmination of 10 years, more than 120,000 person-hours and $18.7 million from the National Science Foundation (NSF) and the state of Florida. 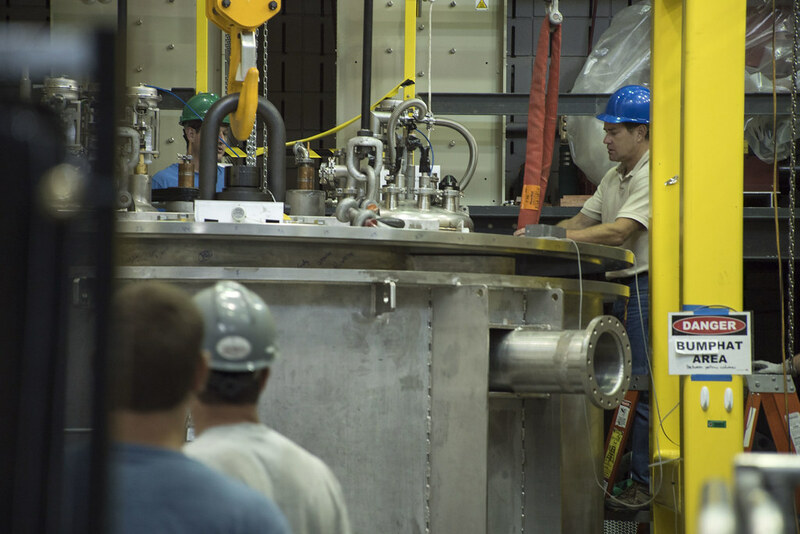 In cell 14 of the lab's DC Field Facility, where the nearly 12-foot-tall magnet looms, many of the dozens of engineers, scientists and technicians who have played a role in the project cheered for a mission accomplished. 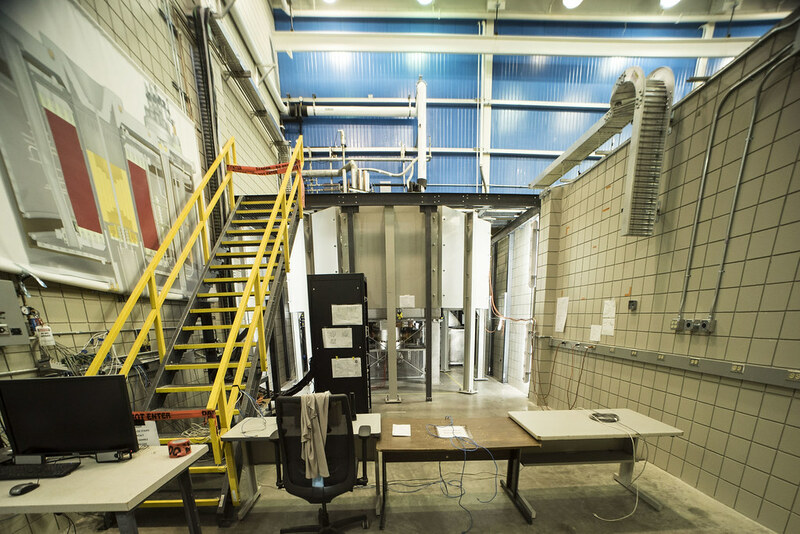 The SCH is not the strongest continuous-field magnet in the world — that honor goes to the MagLab's 45-tesla hybrid magnet, which has held the record since 1999. It is, however, expected to become the strongest magnet in the world by far for nuclear magnetic resonance (NMR) spectroscopy, a powerful technique used by biologists and chemists to study molecular structures in proteins and materials. What makes the SCH unique is that it can create a very high magnetic field that is also of very high quality. For magnets, "quality" means a field that remains constant over both the time it takes to run an experiment and the space in which the experiment takes place in the magnet. Unlike most of the physics research done in magnets, NMR requires fields that are very stable and homogeneous. At 36 tesla, the SCH is more than 40 percent stronger than the previous world-record NMR magnet (the MagLab's Keck magnet and more than 50 percent more powerful than the highest field high-resolution NMR magnet, a 23.5 tesla system in Lyon, France. "There's going to be a real increase in the reach of NMR into the periodic table," said Tim Cross, who oversees NMR research at the MagLab's Tallahassee headquarters. "So we're going to be able to look at many more elements than we've really been able to in the past." Zinc, copper, aluminum, nickel and gadolinium — all of interest for battery and other materials research — will now be observable using the SCH. But for most biologists, the real prize will be oxygen. "Oxygen is where so much biological chemistry takes place," said Cross, "and until the SCH, we've just not been able to look at it." The SCH is the latest in a series of cutting-edge magnets designed and built at the MagLab, a world leader in the field. Research magnets are shaped like big cylinders with a hole bored down the center. Electric current circles around it to generate a magnetic field that is strongest in the hole running down the center, which is where experiments are placed. Like the MagLab's flagship 45-tesla hybrid, the SCH is known as a hybrid because it combines two types of magnet-making technologies: superconducting and resistive. Resistive magnets are made of conventional conductors like copper and silver; superconducting magnets are made of special materials (niobium-tin, in the case of the SCH) that carry current with perfect efficiency (none of its energy is lost as heat) when cooled to extremely low temperatures. But thanks to advances in materials and engineering, the brand new SCH features dramatic improvements over the earlier 45 tesla hybrid magnet. The SCH's resistive and superconducting systems, for example, are driven in series with the same power supply, rather than by different power supplies, as happens in the 45-tesla hybrid. This makes for a more compact and less expensive system. 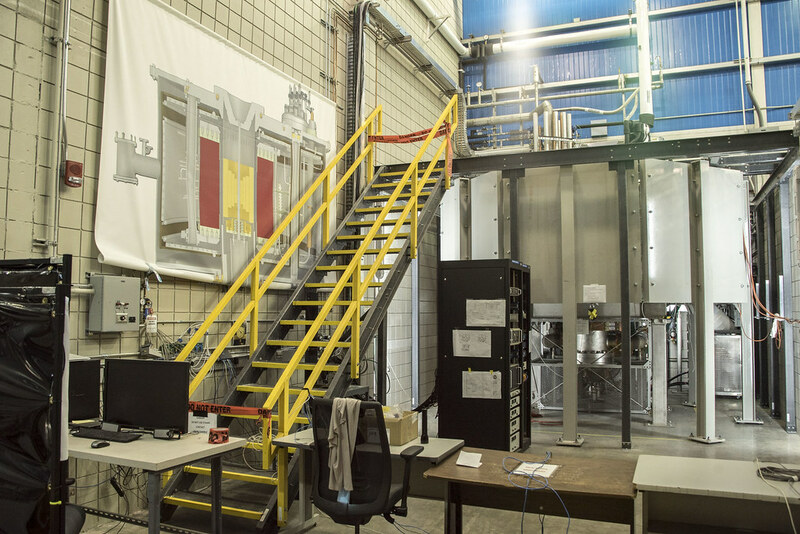 The MagLab's superconducting magnet design was so successful that other institutions have tapped into it. 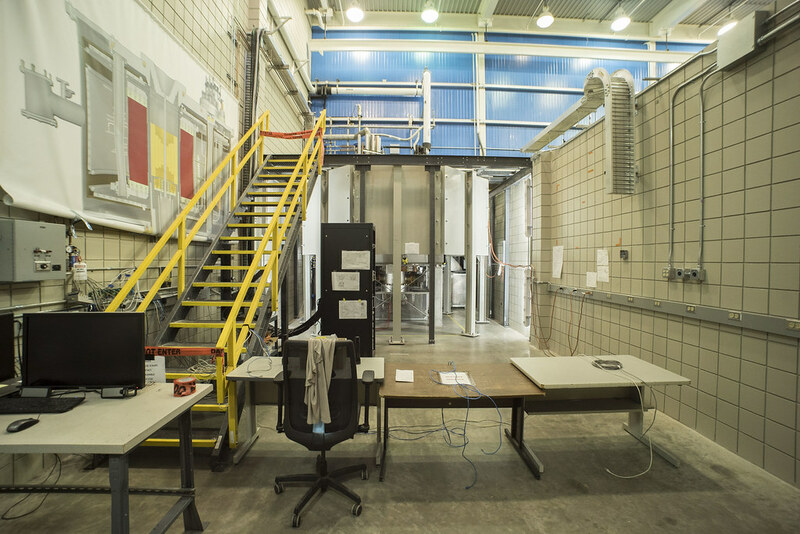 The MagLab designed and built a 25-tesla series connected hybrid magnet for a lab in Germany, and is completing the superconducting portion of a 45-tesla hybrid magnet for a lab in the Netherlands. Some of the design principles developed for the SCH are even being used by the multi-billion-dollar International Thermonuclear Experimental Reactor (ITER) project in France. 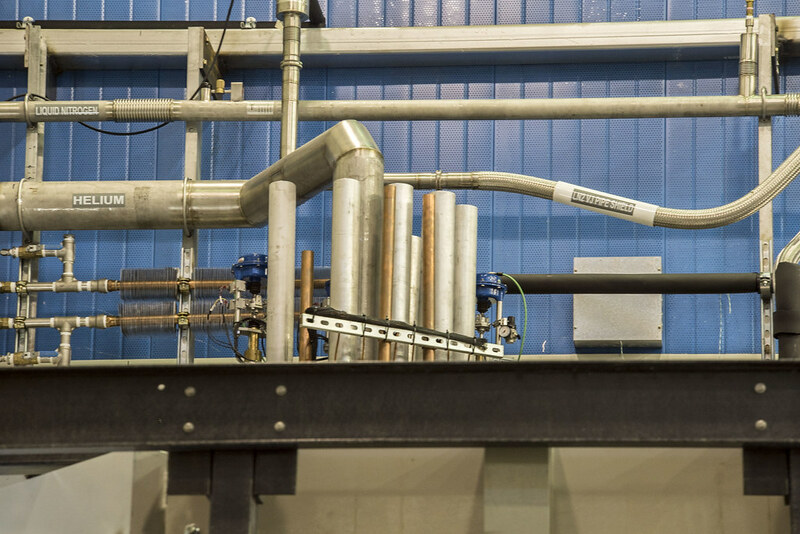 "That's something we take great pride in," said MagLab engineer Iain Dixon, who led the development of the superconducting parts of these magnets. The SCH is also extraordinary for the size of its bore — that space in the middle of the cylinder where the experiment goes. As an engineering rule, the stronger you make a magnet, the narrower that bore needs to be: It's just really hard to make a high-field magnet with lots of room in the middle. Yet in the SCH, the MagLab has achieved exactly that. The bore needed to be 40 mm wide (compared to the 32-mm-wide bore of the 45-tesla hybrid) because NMR experiments require sending a lot of instrumentation into the bore with the experiment. 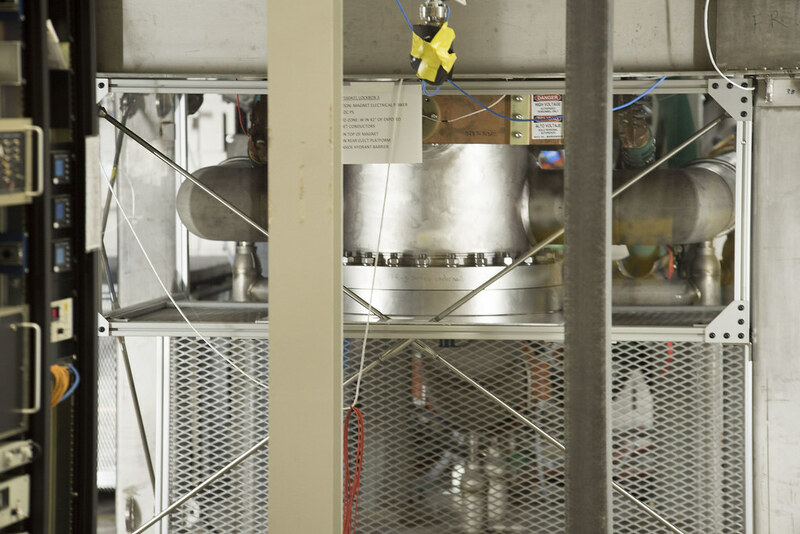 Now that the SCH has passed its big test, scientists and engineers will spend about a year completing and testing the customized instrumentation required for NMR experiments in the SCH (funded with a separate $1.3 million NSF grant). 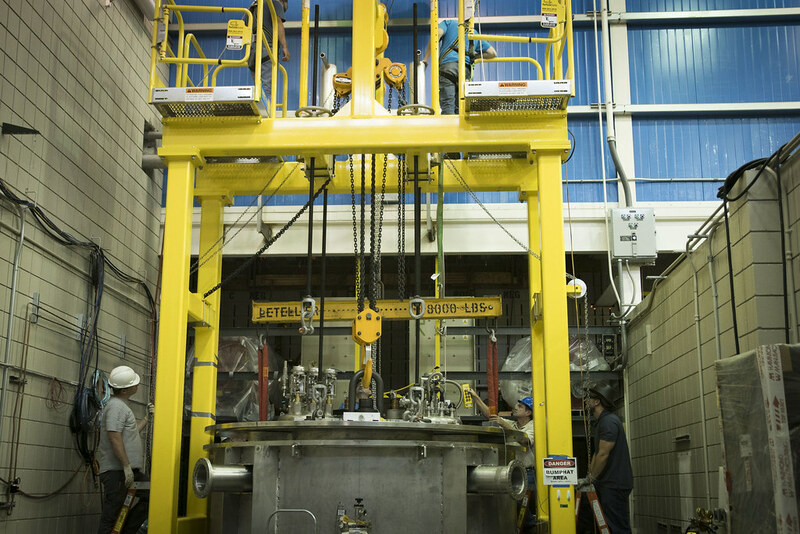 The magnet is expected to be available for physics experiments in early 2017. From the new science it will enable to its efficiency, and from its strength to its stability, the SCH adds up to one remarkable magnet. Still, promised Bird, "The next one will be even better." 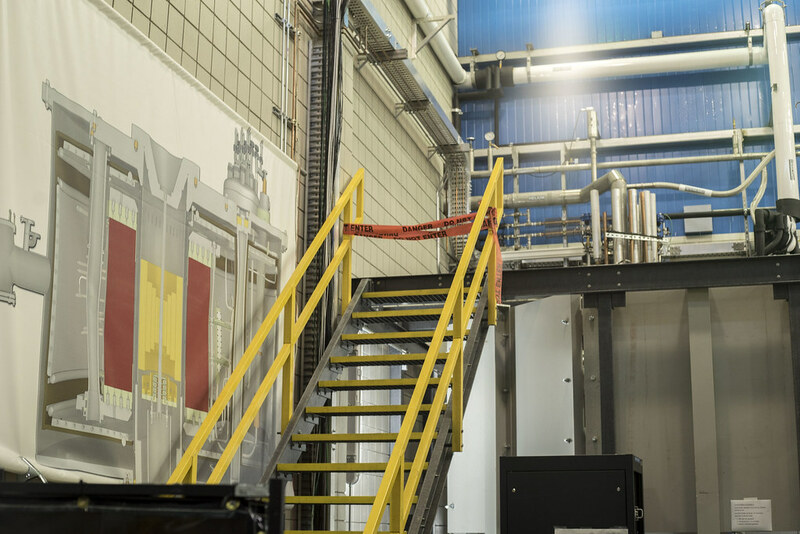 Project leader Iain Dixon and Mark Bird, director of Magnet Science & Technology at the MagLab, discuss the MagLab's latest world record in the below video.